When two years ago we were approached and asked â€˜who are youâ€™, â€˜How come I don't know about you guysâ€™ and â€˜where do you workâ€™ we answered with â€˜we are creatorsâ€™, â€˜we just startedâ€™ and â€˜at homeâ€™. Especially the last answer was what led us one day to take our first milestone and establish our very first official office/studio/workspace at The Cee Spot. Because one response to that answer was â€˜I might know the right guy and the right place for youâ€™. 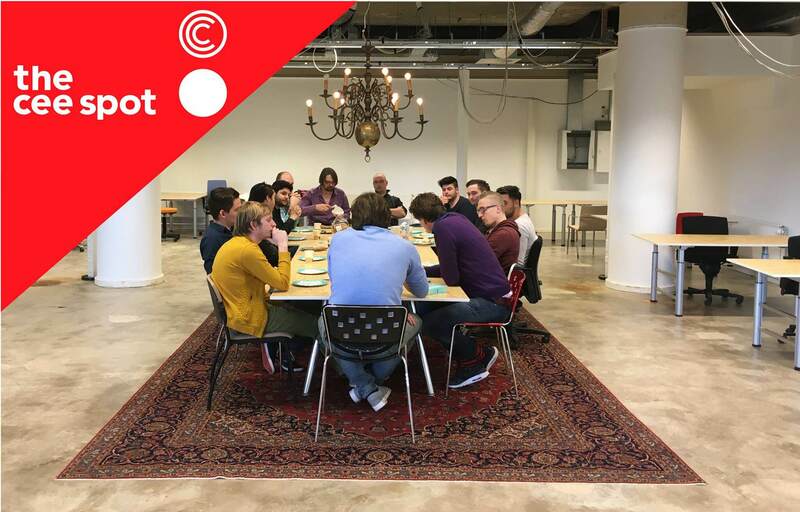 That's how we got to know Niels Moshagen, founder and initiator of â€˜the cee spotâ€™ and experienced our very first and last community tour as visitors. 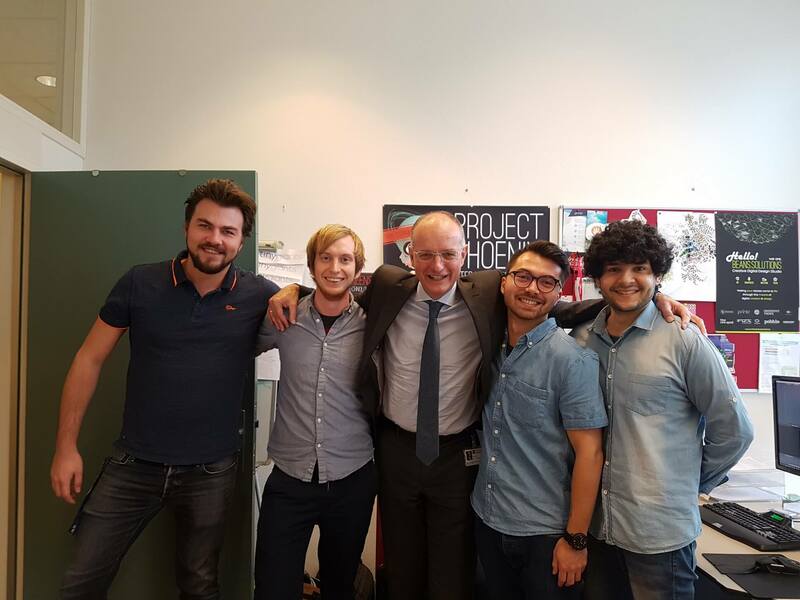 Shortly after we became one of the very first four members of The Cee Spotâ€™s start-up community and even got a visit by the mayor of our city, Onno van Veldhuizen himself, who supports our creative drive and wished us all the best for the future. The Cee Spot gave us from day to day a homelike feeling; people help each other and that is what we really appreciated there. We were there to make a community. It is like one philosopher always said: â€˜true love is an act of giving not an act of receivingâ€™. People should put an effort into becoming a community and not only be doing things on their own. So far it is going really well with this community spirit. With the variety of young companies at the cee spot and everybodyâ€™s positive feedback and support, we could not have wished for a better community to share our ideas with. The exchange of experiences from all kind of fields whether technical, design or marketing related helped us to get where we are now. Tiny Giants first official headquarter was presented to the world officially with the collaborative opening event of Insane Creators and Tiny Giants. Our network came and met us, our family, our friends, each other and of course to get our work presented to them in a fresh and gigantic style! 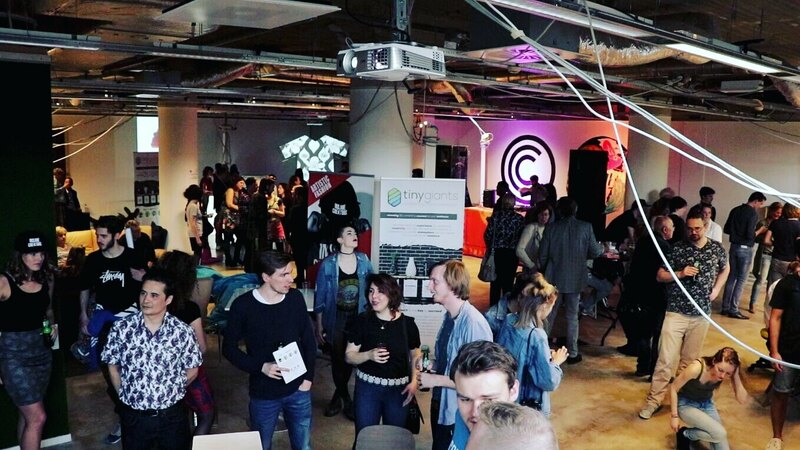 â€�Our opening event was successful in every aspect; from the collaboration with Insane Creators, The Cee Spot and its members to the love and support we received from family and friends! But just like any other story this one also has an end. After two years of working, growing, and living at The Cee Spot, it was time to move on and give the space to others to prove themselves and grow together with the community. The Cee Spot grew by now to an impressive and respectable number of individuals and teams working hard to innovate and sustain the future.